I have now made several orders and can only say good things about Dyers. Price was good, tech help was on target and delivery was prompt. This product was the correct part and it works. My air conditioner motor start capacitor failed. I live in south Florida, it was July. 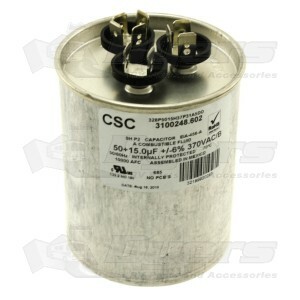 I ordered the replacement capacitor, which was the exact part number as the original. It arrived in a timely manner, was installed, and the air conditioner is running. It was the correct part and the service was excellent. Phone staff was excellent in helping find the correct part, with ordering, fast shipping at a fair price.